Custom mood board by architect Amee Allsop, created for The Hudson Company. Photo set by Gentl and Hyers. This year, The Hudson Company has been closely following the inspiring work of New York based, Australian-bred architect Amee Allsop. As you can see from the photos above, Amee has a distinct approach to architecture which she describes as 'an amalgamation of the city and the sea' - a theme she has developed as her career has taken her from the South Pacific coastline to New York City. With design experience in these two juxtaposed contexts, Amee is continually inspired by the contrast of wide open landscape and dense verticality. With each architectural endeavor, Amee's design process considers space, proportion, light and materiality whilst working closely with the client and building site. For Amee, quality materials and craftsmanship are both of central importance so that her designed spaces do not feel 'disposable' but, rather, timeless and inspiring. In the spirit of Australian living, Amee's work elevate the simple and beautiful essentials of living - such as a bathtub in an open bedroom - and embodies a minimal lifestyle, rich in tactual details. Tell us about the items included in your mood board, what's their origin story? And, is there one item that's a favorite? The origin of these materials is, for the most part, a mystery to me. And I think that is really what makes them so beautiful to me. Mostly, they are found objects: a lump of concrete right off the street, a sample of metal work from a SOHO workshop, some shelled walnuts from the corner store, a few elegant bits from the art supply shop, and then there's this gorgeous handmade copper spoon (which I've always been so curious about). But my favorite object has to be the photo of my son’s squishy bum. The photo was taken when he was newborn and it sits on my desk and reminds me that everything I do is not for me, it’s for the future. How do you use mood boards in your professional work? Honestly, I don’t always use mood boards when I'm designing because materiality tends to evolve over the course of a project. But there is always a need for a starting point, and so, in putting together a mood board for The Hudson Company, it all started with the wood flooring sample. In my work, I tend to use contrasting materials in a way that makes them feel like they belong together: raw steel with smooth marble, copper and linen, walnut and oak. I feel like it's a way to use tension to create harmony. For this mood board concept, I was drawn to the character of this Select Harvest White Oak [Capella Finish] and how it was perfectly imperfect. There are so many places to go for inspiration these days: books, blogs, Tumblr, Pinterest, etc. What sources do you typically or consistently turn to? That's true, these days, there are almost too many places to go for inspiration. So, the challenge becomes about reduction. When it comes to things that inspire me on a regular basis, I’m often surprised and challenged by tailored clothes and personal style, by the arts and also by traveling. I recently travelled to Scandinavia and was inspired by the street lamps, signage, and grate drains in the streets there - they stood out to me because they were so different to what we have here in NYC. It those little things that you don’t see photos of on the internet everyday that tend to catch my eye and challenge me to think in a new way. When it comes to design, how do you feel your Australian background has influenced you? When I visited The Hudson Company Showroom in Brooklyn, this particular flooring was just begging to be touched. When I first noticed it, I didn't know anything about the Select Harvest White Oak [Capella Finish] but it looked to me like it was from some really old tree that had had a good, long life and now was given a new life as a carefully crafted and functional object. You can learn more about Amee work on her website and you can follow her creative journey on Instagram. All Amee Allsop Studio photos provided by Amee herself. All mood board photos by Gentl and Hyers. 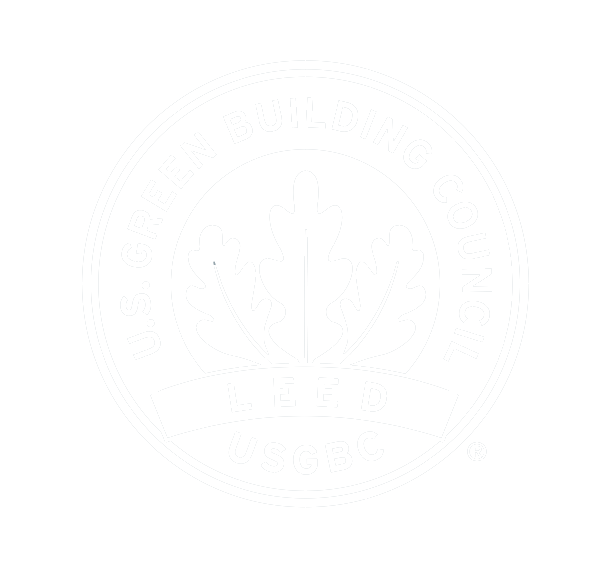 Learn more about Select Harvest White Oak [Capella Finish] here. A peak inside Define Magazine. Amanda Jane Jones is a award-winning, freelance graphic designer and art director based in Chicago, IL but currently living with her family in Geneva, Switzerland. During her career, Amanda has collaborated with a variety of creative brands, including VSCO, Solly Baby, Kinfolk Magazine (as co-founder), and Artifact Uprising. Amanda's current passion project is the elegant new creative quarterly, Define Magazine. When we asked Amanda to create a custom mood board for our ongoing series of creative collaborations, we knew it would be be a gorgeous, minimalist's meditation on color and simplicity. In this, we certainly weren't disappointed. But it's the story behind the items that Amanda chose to feature in her mood board that are especially fascinating: photos of her children, Pantone color swatches, and skipping stones from the shores of Lake Michigan. Tell us about the items included in your mood board, what's their origin story? Why did you select them for this mood board? I'm always looking for calming influences in my life and strive for my home to be minimal, quiet, simple and calming. And since we live just a quick walk away from Lake Michigan (where I vacationed as a child with my family) I often take my children there throughout the year. The colors of the lake have always inspired me. Every time I visit the lake, I come home with at least one rock that we keep in jars on our bookshelves. The homes along Lake Michigan - especially in the Glen Arbor area - have always inspired me as well, with their white-washed wood exteriors. The Lake brings back peaceful, happy, calm memories. If the kids (or I) are ever grumpy or in a slump of some sort, the Lake is the first place we visit - the wind coming off of Lake Michigan seems to cure all. How do you use mood boards in your professional work? What role do they play in your creative process? I utilize a lot of mood boards in my work. It's a huge part of my design process. I start with brainstorming, looking through my collection of books to get ideas. I also have an inspiration wall at home that I love to cover with ephemera I've collected from my travels or received from friends. Tell us about your inspiration for Define Magazine: where did the concept come from and what inspired you to create this publication? Define came out of what felt like a need. There were so many artists that I collaborate with who talked about wanting more opportunities to create work just for the sake of creating. It's hard to make time for personal work amid the day to day of creating for clients - so it was born out of an idea to create a space for artists to feel free to create for the sake of creating. From my own experience, I know that artists hunger to work on projects uninhibited by the client filter and we jump at a chance to collaborate with other artists on a global scale—to make something beautiful and thought-provoking. The basis of Define is simple: each issue focuses on a single word defined by a unique set of artists through various mediums. Are there specific places that you turn when you need fresh ideas or inspiration? Particular books, other creative people, blogs, etc.? When I'm in a design slump, I always go for a walk. Fresh air is always a quick fix. Also, books - both old and new. I don't think you can ever have too many books. Oh, and I love Maira Kalman - she's an endless inspiration to me. With Select Harvest Ash [Neva Finish], I love how white it is - the color is just perfect. Again, there's something calming about this kind of floor and so I'm naturally drawn to the tone and fell of Neva. At home, we recently painted our kitchen floor white and I love how it's brightened our space. You can learn more about Amanda Jane's work on her website and you will certainly want to follow her on Instagram as well. Here you can learn more about Define Magazine. All mood board photos by Gentl and Hyers. Learn more about Select Harvest [Neva Finish] here. Custom mood board by designer Amanda Jane Jones for The Hudson Company, featuring Select Harvest Ash [Neva Finish] flooring. The Broome Street Hotel, New York., featuring The Hudson Company Select Harvest Walnut [Clear Finish] floors. The Broome Street Hotel, New York. Unlike our range of Reclaimed products, Hudson Company Select Harvest wood floors are custom milled to meet your design specifications from new wood, and are available either unfinished or pre-finished. 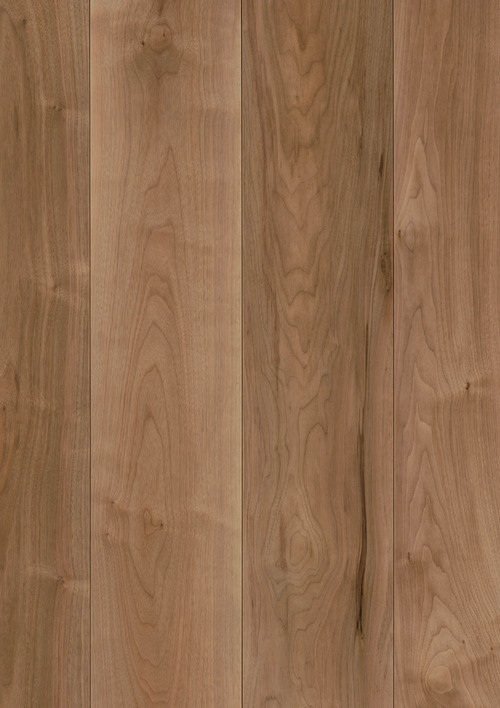 Within our wide inventory of Select Harvest flooring, there is no species more diverse or attractive than Hudson Company Walnut. 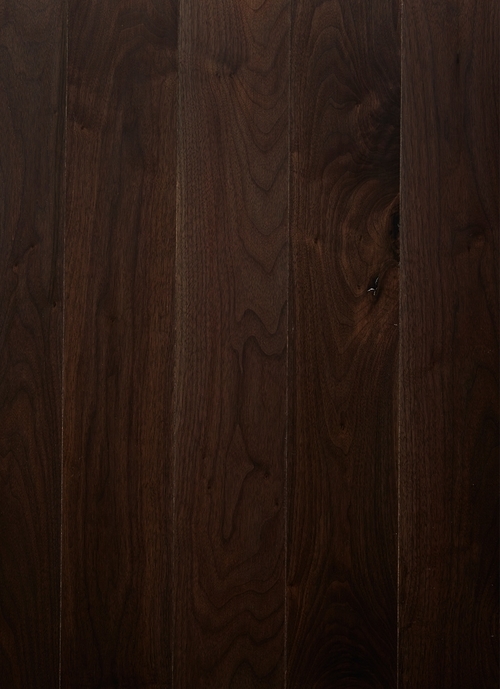 Select Harvest Walnut is currently available in nine custom finishes, including (from left to right above) Lunar, Barley, Herringbone, Roebling, Charred, and Cacao - each with their own distinct aesthetic qualities and installation profiles (click the links to learn more). 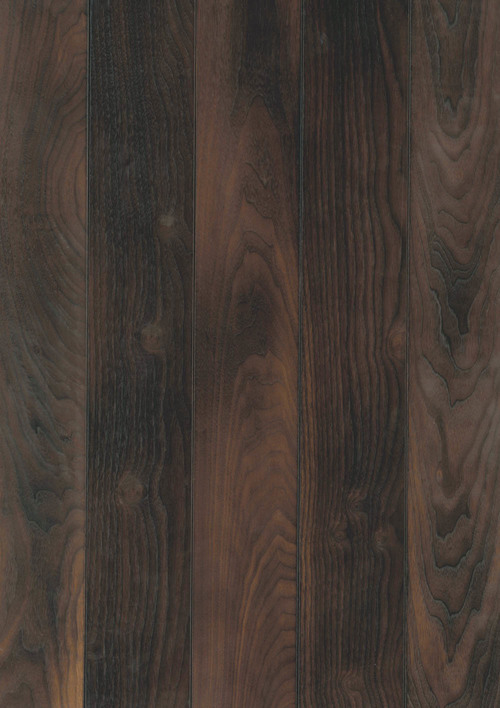 From the purple-brown tones of Charred Walnut, to the timeless elegance of Herringbone Walnut, to the warm, broad swirling grain patterns of the Lunar and Roebling finishes, the entire family of Select Harvest Walnut floors is character-rich and versatile enough to succeed in a wide range of design applications. To learn more about our unique family of Select Harvest Walnut flooring, or how we can help you reach your goals for your next design project, please write to us at info@thehudsonco.com and a member of The Hudson Company Team will be in touch within one business day.